How To Recover Data From Your Memory Card? Imagine this scenario: you're a photographer (either amateur or professional) and you've spent the day photographing a wedding or important family event. Everyone is smiling, enjoying the moment and all look forward to seeing your photographic masterpiece. At the end of the event, you have a nervous feeling when you examine one memory cards and it says "No images found on selected media". That can't be right, this was the card you just used for the family photo, this is the card you were depending on, and this is the card that contains THE most important moments. Stress floods through your body, not only could this ruin your promising career, but all those in attendance will be sorely disappointed. Memory cards, whether they are SD/SDHC (Secure Digital), CF (CompactFlash) or Memory Stick are extremely reliable and in most cases they'll last for a long time, however accidents do occur and data (photos, music, documents) can be corrupted, but that doesn't mean it's lost forever. In almost all cases, our technicians (with over 30+ years of combined experience) can perform memory card recovery, no matter the medium, no matter the issue. You can call us anytime (from early morning to late at night) and let's talk through your issue. The call and consult are free and there is no obligation to use our recovery services. How To Avoid Memory Card Issues? 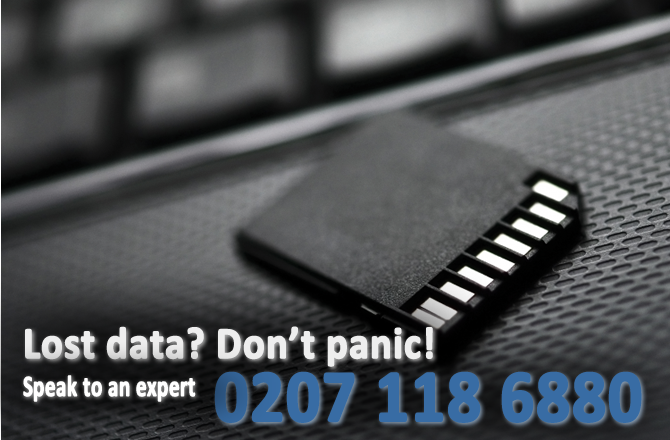 At London-DataRecovery.co.uk we believe, "an ounce of prevention is worth a pound of cure", and we hope the above tips may save you from hours of grief. Should you ever need us though, we're only a phone call away (or use our handy form) and are happy to discuss any problem you may experience. The call is free, and there is never any obligation, just a friendly customer service rep ready to soothe your troubles away. We guide you through every step of the way, From the first phone call we will offer our opinions / advice and quickly identify the data loss cause and the best way to restore your data to you. You will be informed on any updates either by email or personal phone call. Call us anytime at our memory card recovery London support number 0207 118 6880, a data recovery specialist will be happy to answer all your questions free of charge.